I am a fan of the Dave Matthews Band -- and can say that I have been since the days when they played much smaller gigs around the DC area in the 90s. 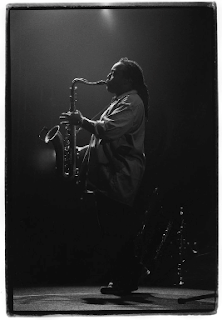 In those days, I was always taken by the tremendous talent of the late Leroi Moore whose piercing saxophone set the band apart from everything that was being listened to in those days. Not surprisingly, Moore's unique sound and song compilation (Matthews credited Leroi with that at a show in LA last night) is a mega-hit today and will likely stand the test of time. Perhaps today, Leroi is "Under the Table and Dreaming..."